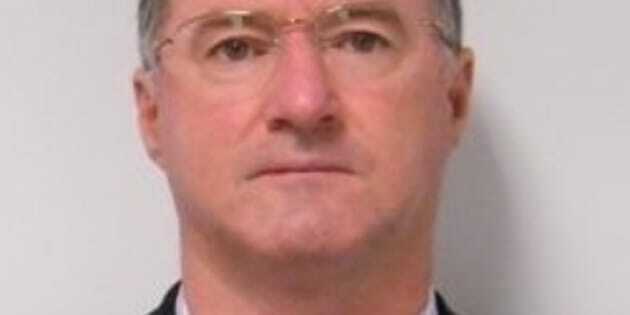 Convicted murderer Graham Gene Potter has been on the run for 7 years. Graham Gene Potter skipped court over conspiracy to murder charges in 2010. Australia's most wanted man has been spotted in the rural New South Wales, police believe. Graham Gene Potter has been on the run since he failed to appear on bail for conspiracy to murder charges in Melbourne on February 1, 2010. Police have revealed there have been two unconfirmed sightings of the convicted murderer in Griffith in July 2016 -- one in a local shop and the other at a gym. He is known to have connections to the Riverina area and there have previously been a number of other reported unconfirmed sightings in the Griffith and Yenda areas. CCTV footage of a man police believe may be Graham Potter in a local shop in Griffith. Potter was facing charges of being hired to kill a man at the wedding of Melbourne underworld figure Mick Gatto's son in 2008. He was also facing federal charges over a record $440 million ecstasy and cocaine haul in the same year, according to The Age. Police are appealing for anyone who has sighted the fugitive to come forward. "It's important for us that we either confirm the sighting or rule out that was Potter," Detective Superintendent Peter De Santo said. "We know that Potter is capable of living rough and camping out, so there's a chance he could be staying in caravan parks or camping in remote areas. He might also be picking up work at farms or as a labourer." The 59-year-old has been seen with a ginger beard and dyed brown hair to avoid detection. He is described as being Caucasian, 175cm tall with a medium to solid build and brown eyes. He is known to wear a gold sleeper earring in both ears, wears glasses and regularly wears a gold chain around his neck. He has gone by a number of aliases including Josh Lawson, John Page, Jim Henderson and Peter Adams. Potter had previously spent 15 years in prison for the 1981 murder of Kim Barry. He bludgeoned the 19-year-old woman to death before cutting off her head and fingers and dumping her dismembered remains in the Illawarra. A $100,000 reward for information leading to his capture has been in place since 2011.